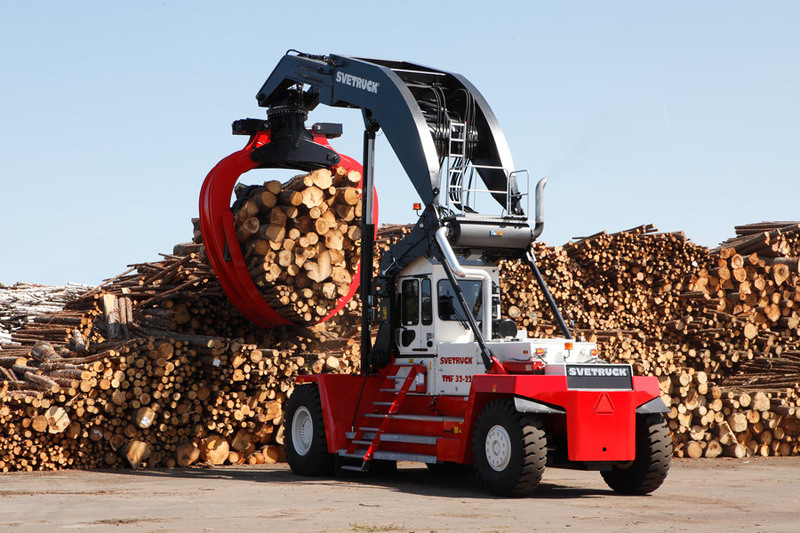 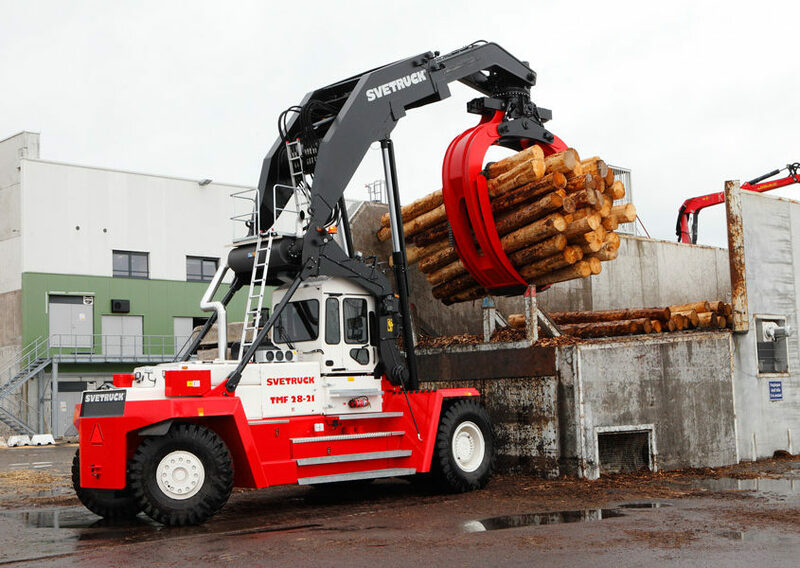 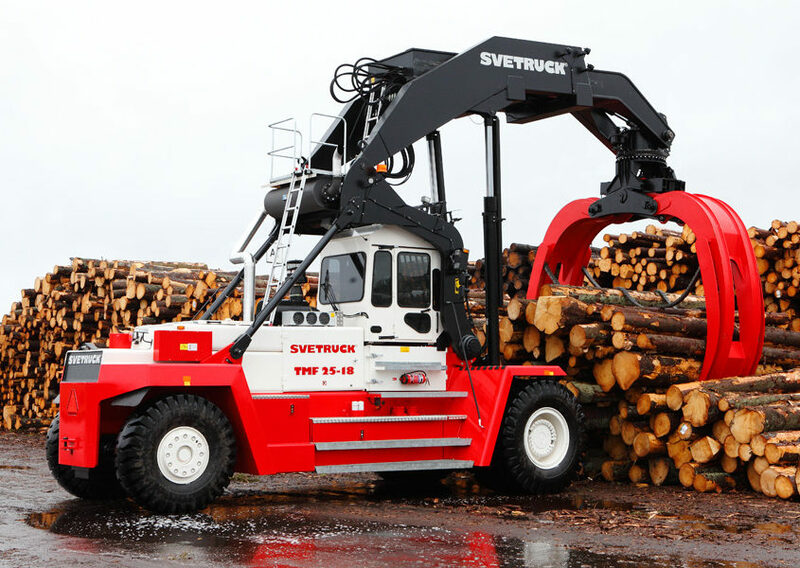 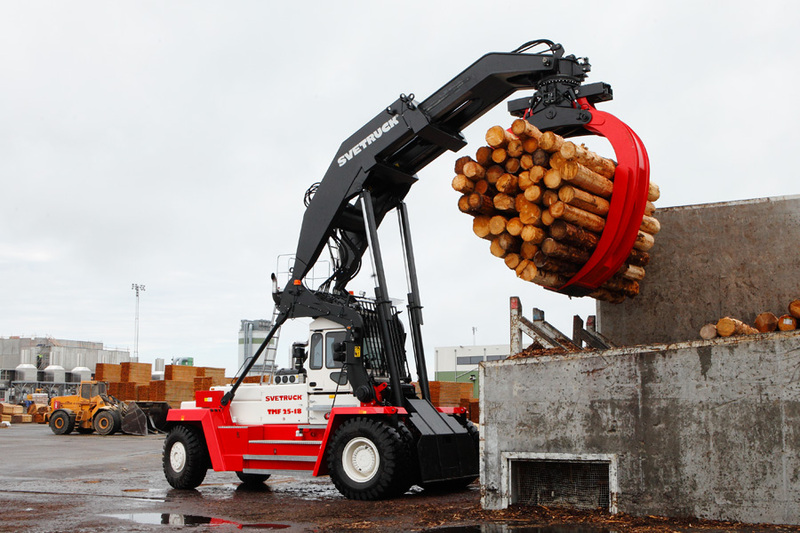 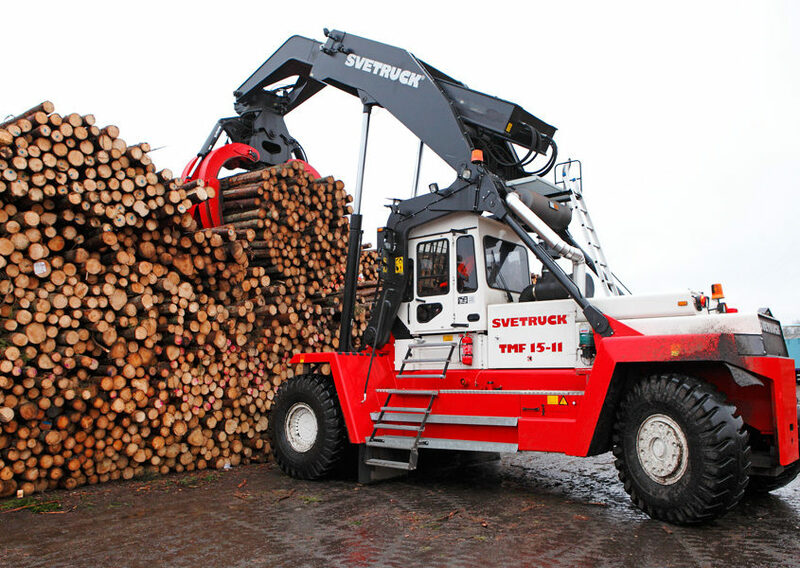 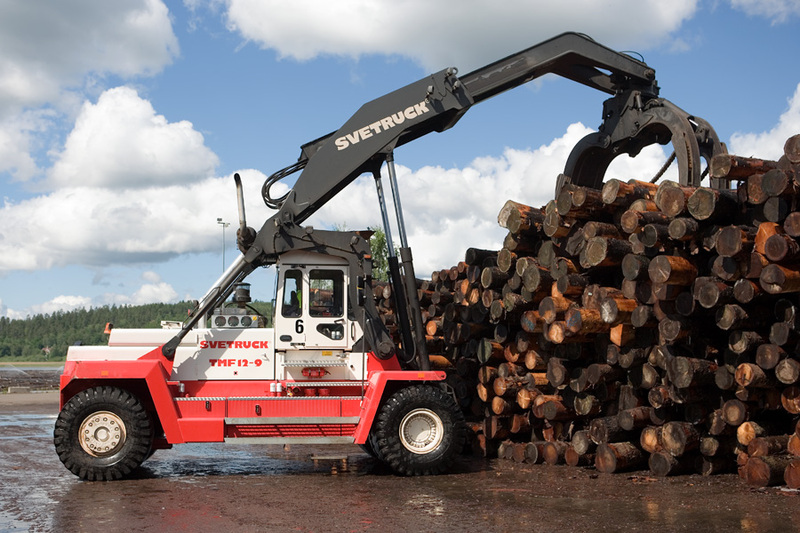 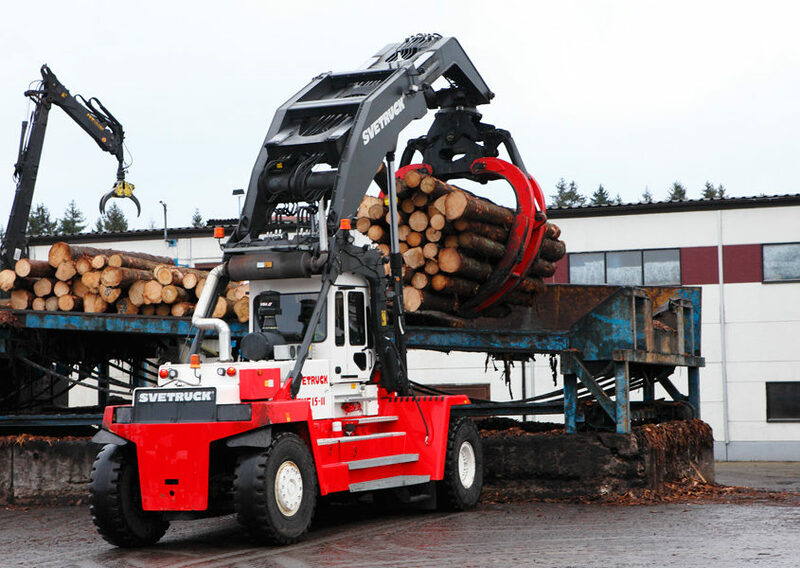 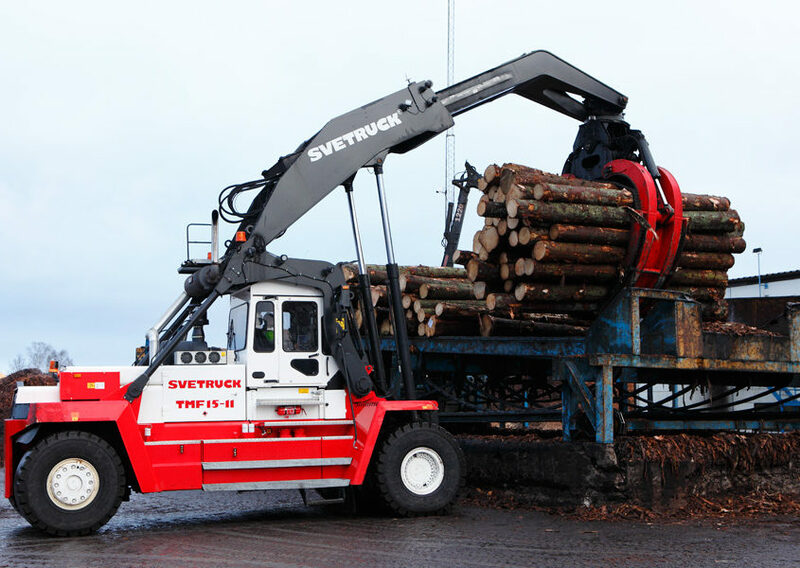 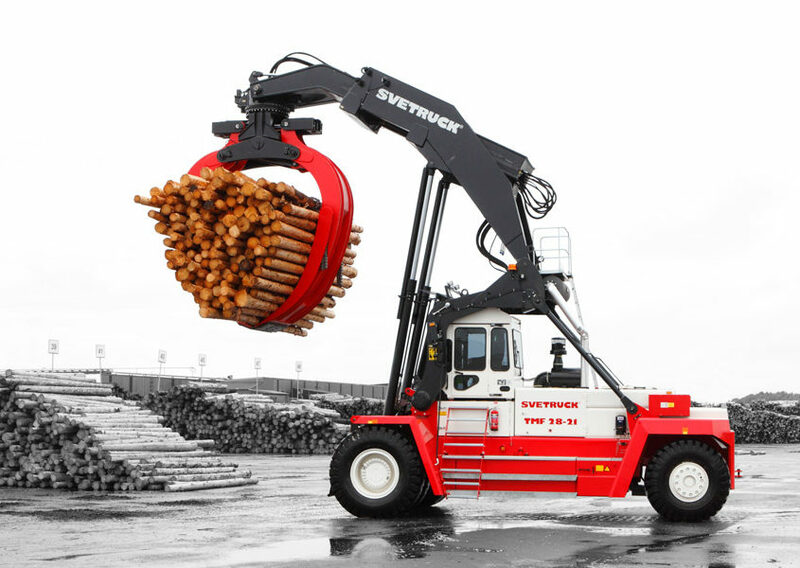 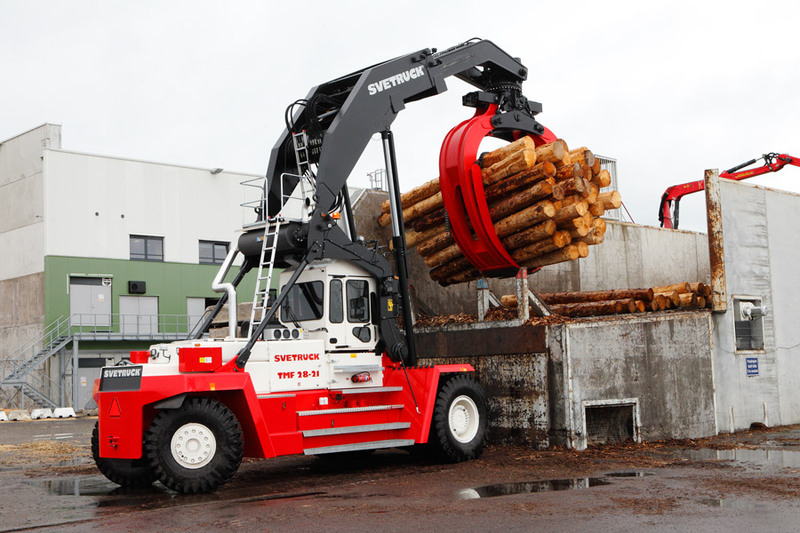 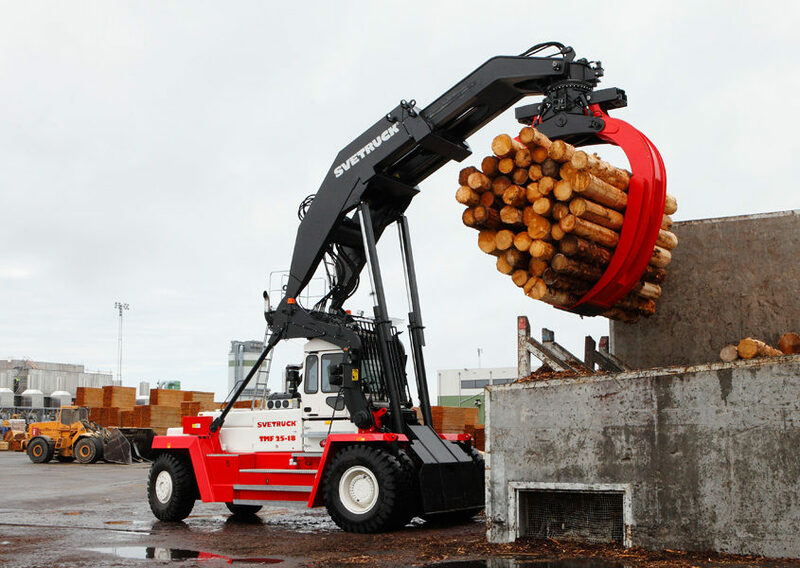 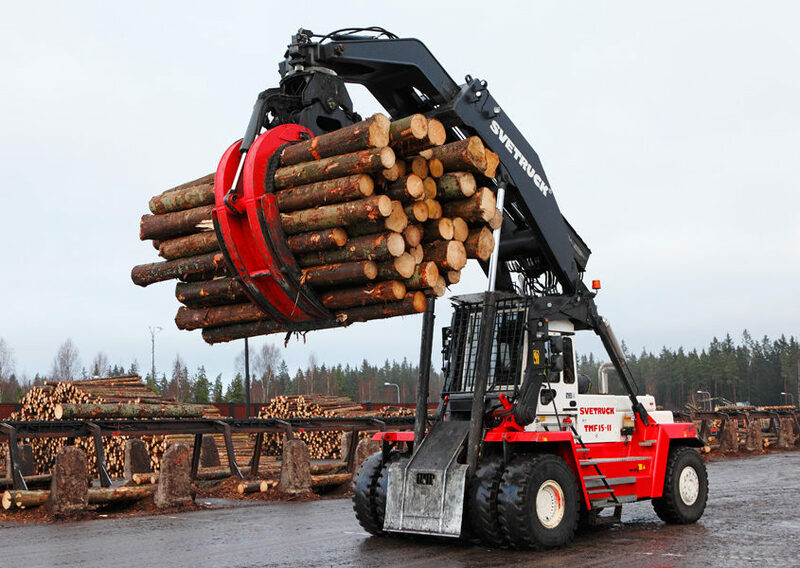 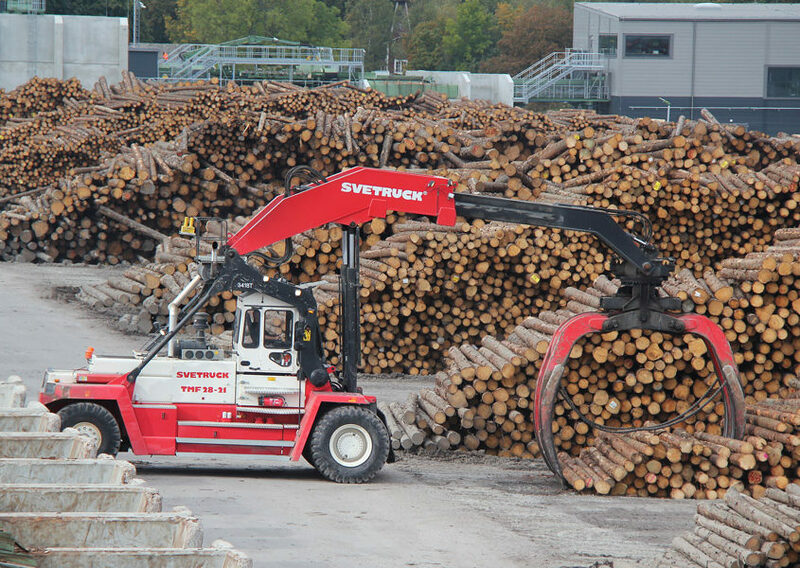 The Svetruck TMF is a powerful log stacker, which despite its size is easy to operate and easy to service. 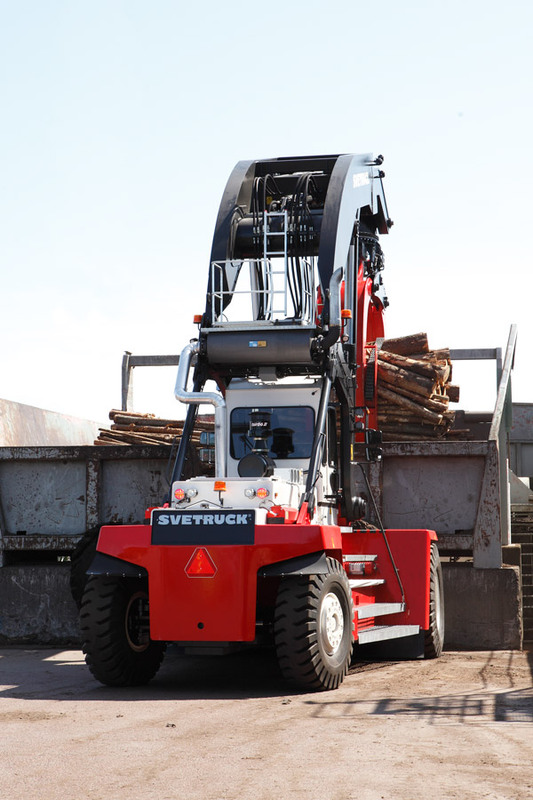 Svetruck can adapt machines to perfectly suit the workplace. The Svetruck TMF machines predominantly operate at sawmills, paper mills and in pulp industry settings. 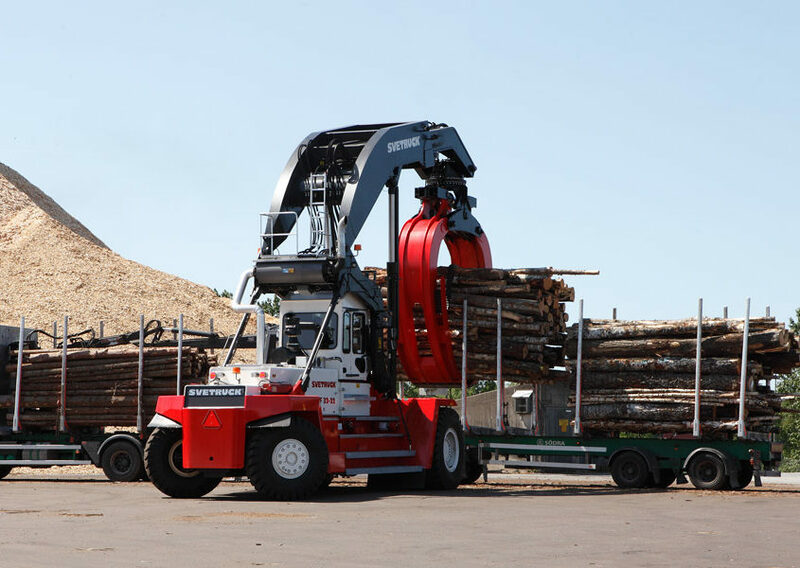 The machine has been designed to provide the operator with a good work environment that promotes high production capacity. 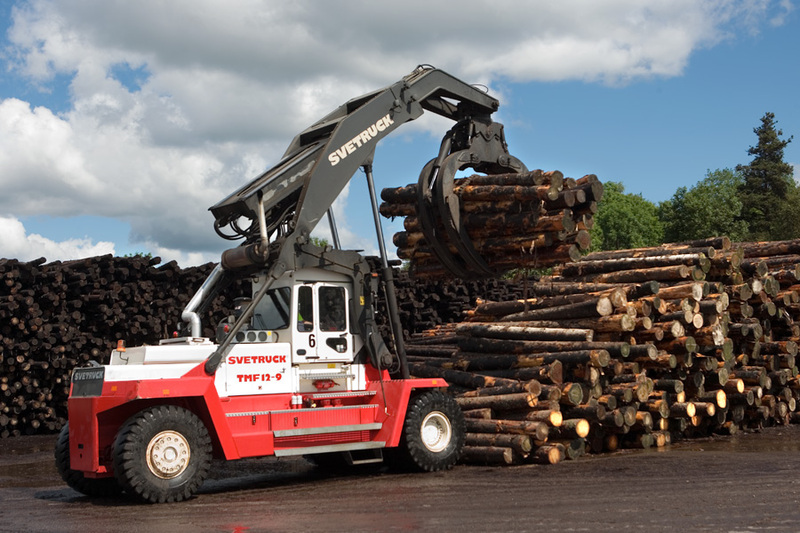 The overall objective has been for operators to work safely and efficiently throughout the full shift. 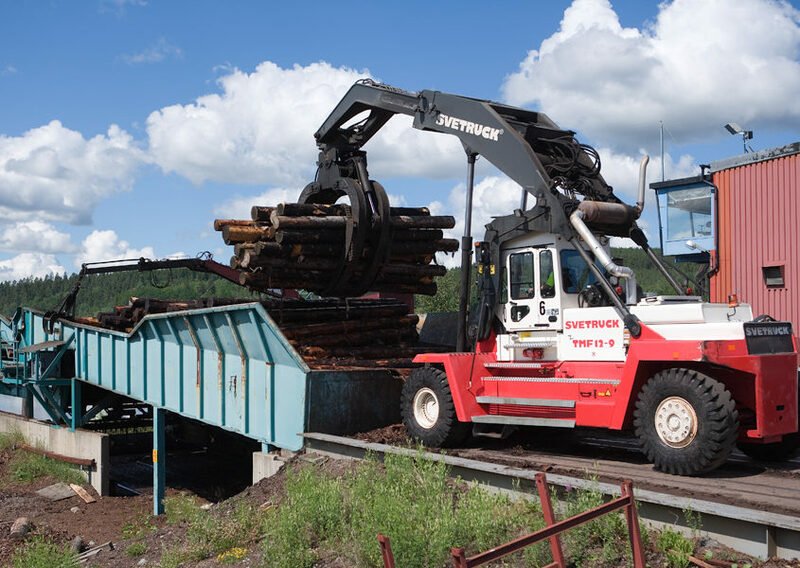 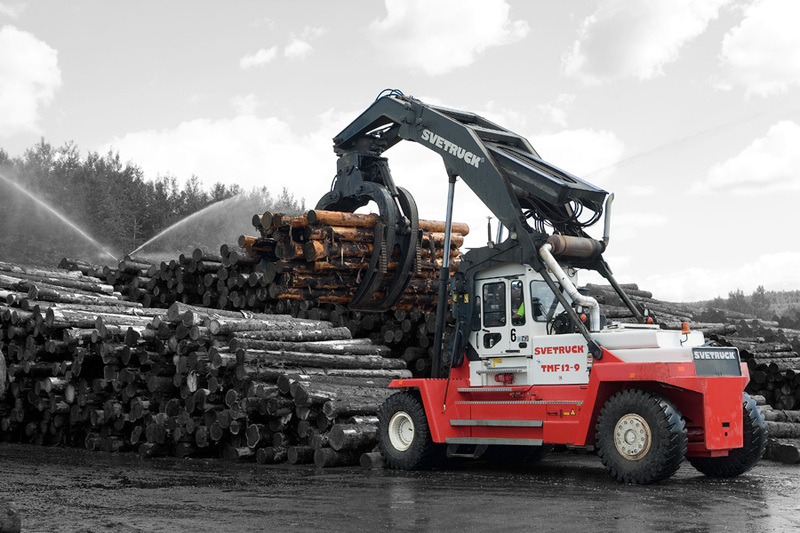 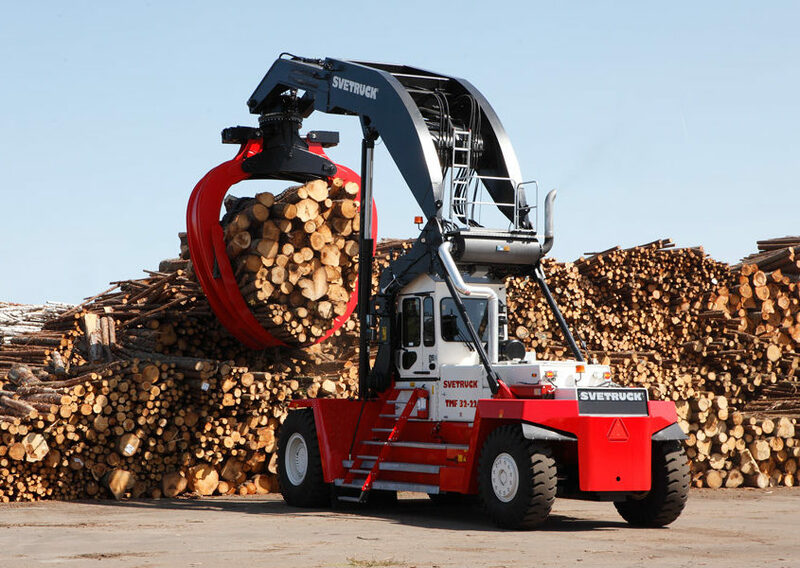 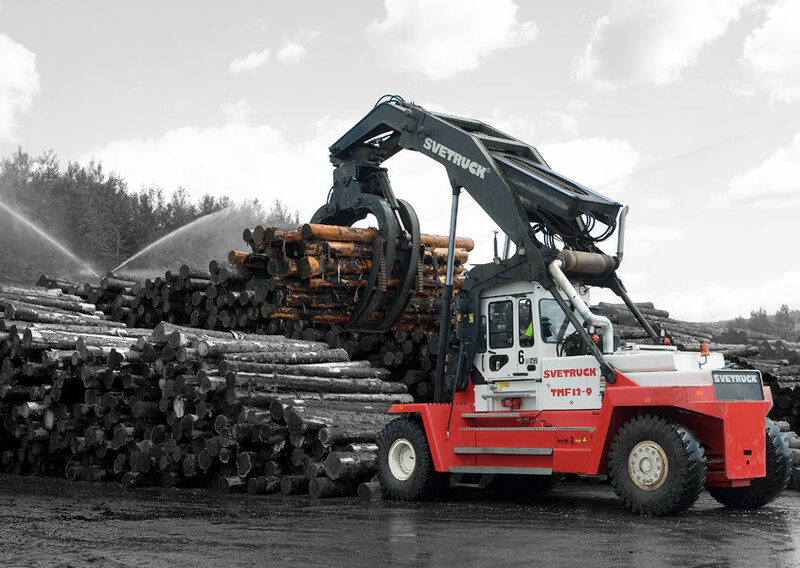 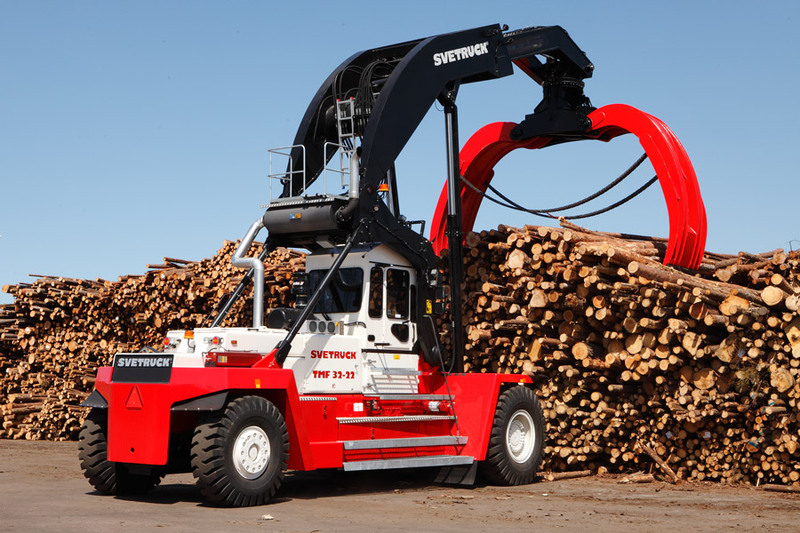 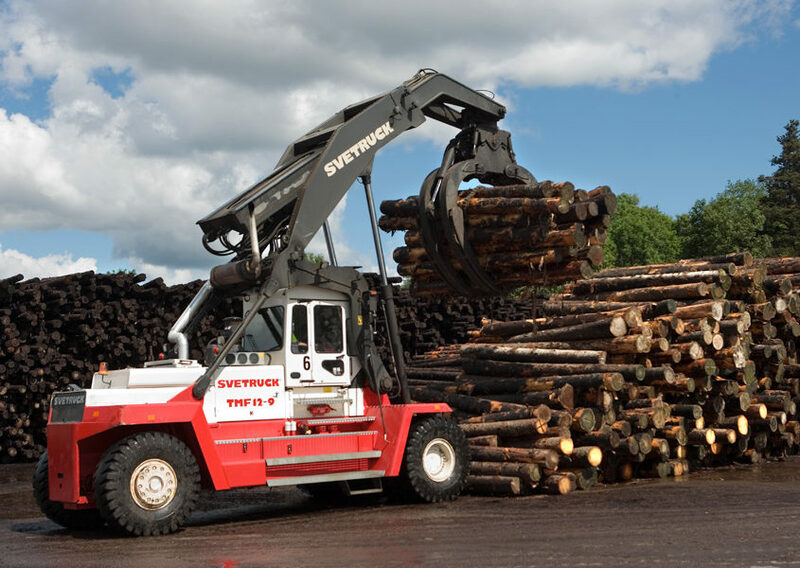 The Svetruck TMF is built using well-known quality components and combined with many years of experience and vast know-how, this has resulted in a heavy-duty, highly reliable machine for fast, safe and cost-effective log handling. 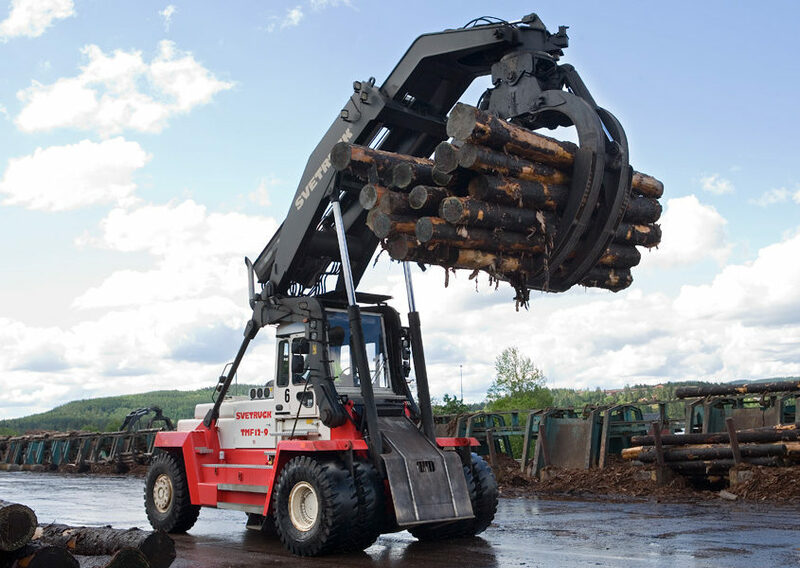 We guide you to choose the correct grapple size for your requirements. 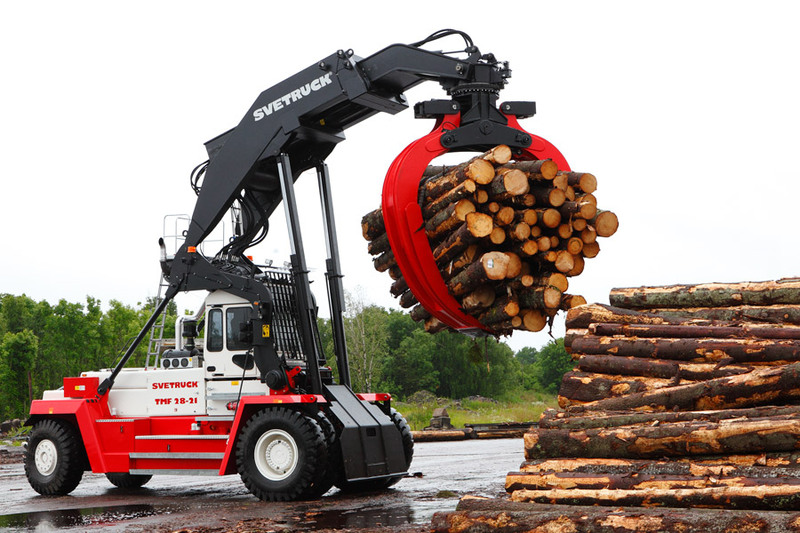 Always with 360° rotation and uncompromised precision during longitudinal turning. 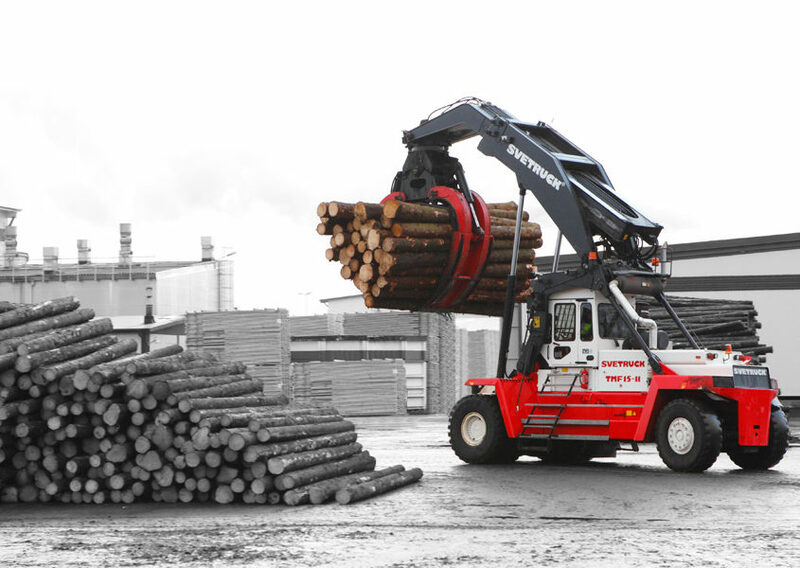 A workplace that guarantees the operator a good day at work. Smooth control of all functions, optimum visibility of the working area. 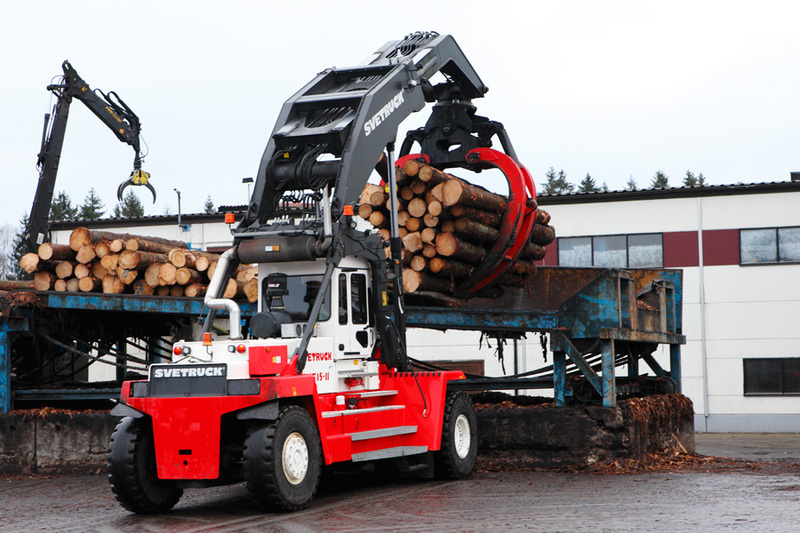 EHC controls as standard. 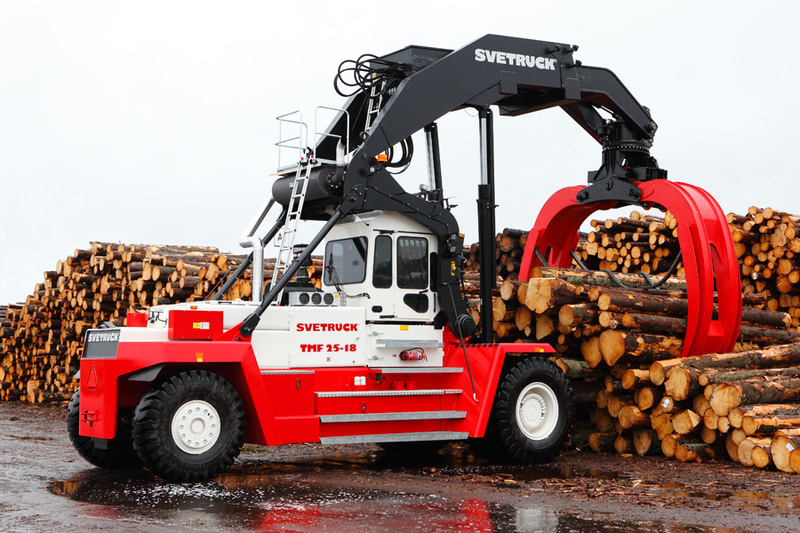 As standard the Svetruck TMF features Svetruck D5 that constitutes a complete control and monitoring system to provide the operator with a full machine status overview. 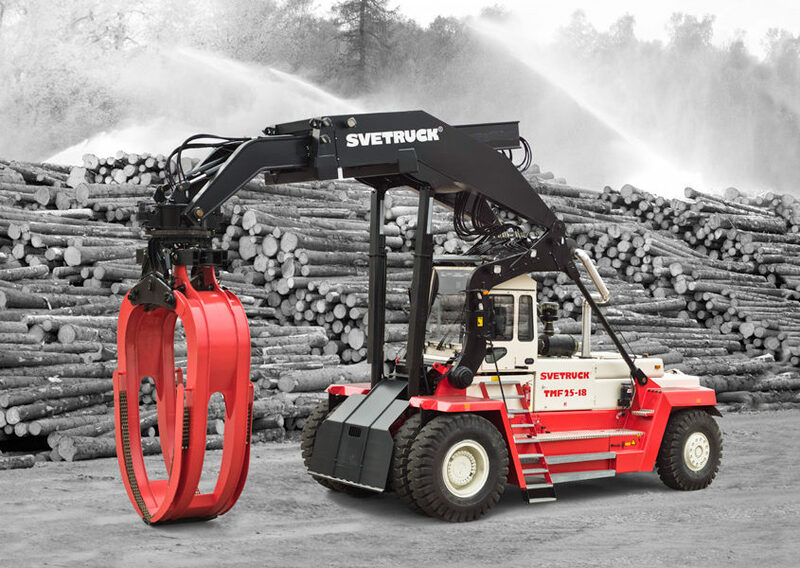 The Svetruck TMF is a service-friendly machine with large engine compartment hatches and full access to the reversible hydrostatic fan. Optional boom-mounted service platform. 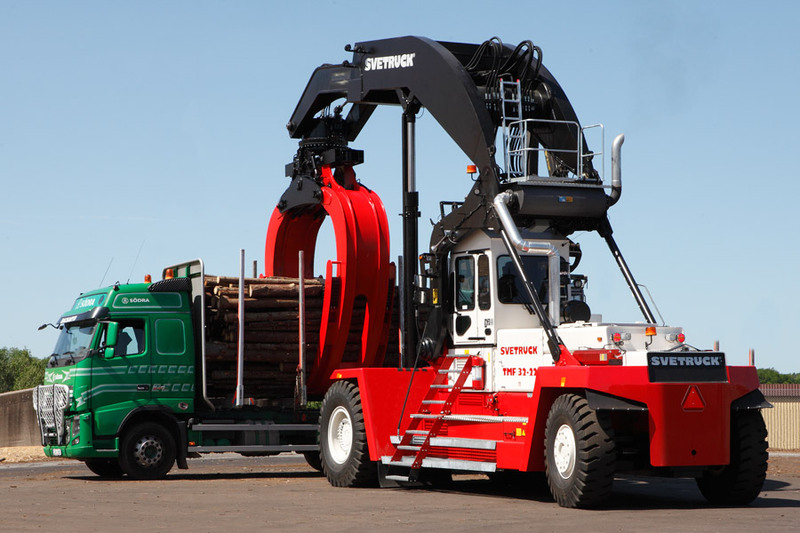 32 tonnes capacity in grapple with telescope in. 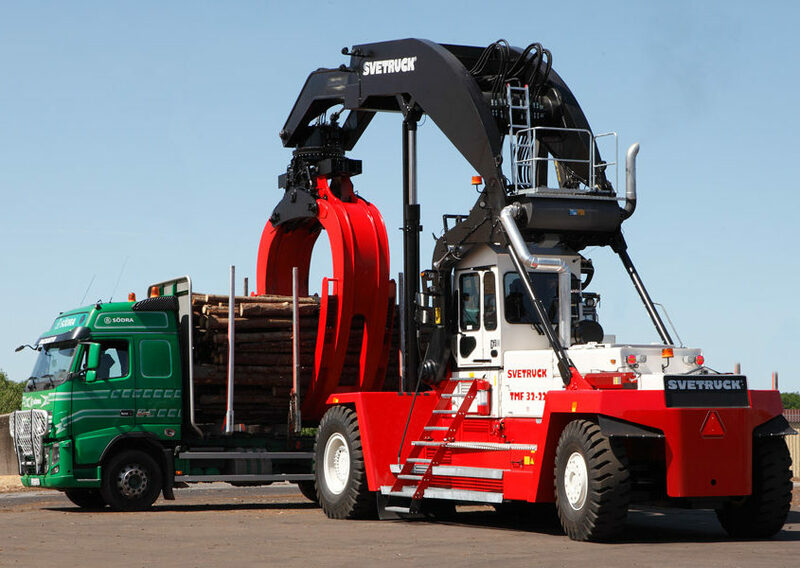 22 tonnes capacity in grapple telescope out. 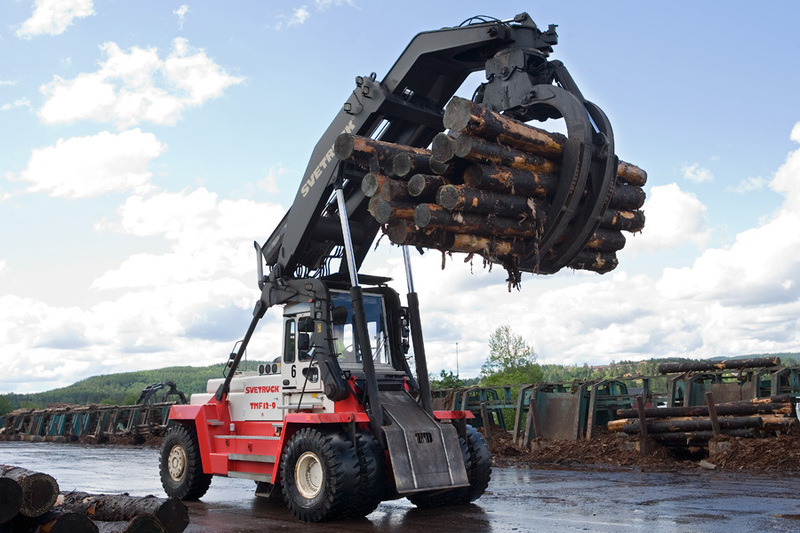 Grapple sizes available in sizes from 8.0 to 9.5 m². 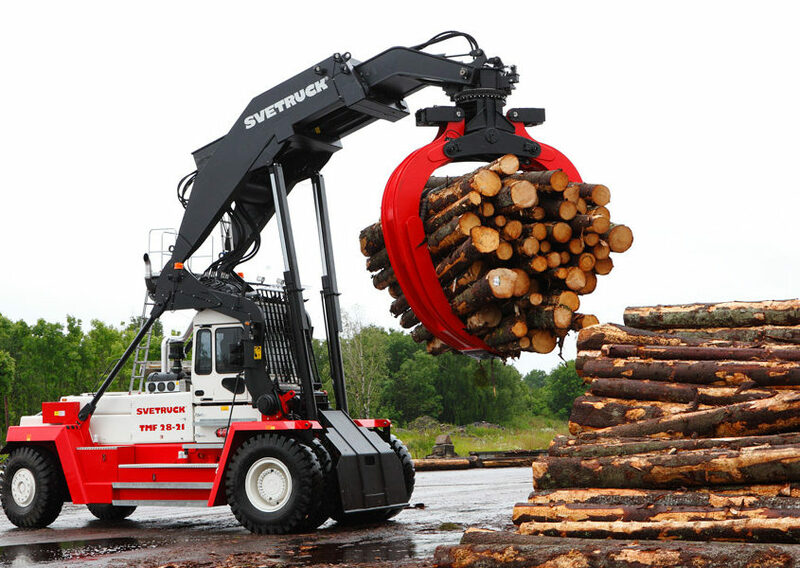 360° rotation and uncompromised precision during longitudinal turning. 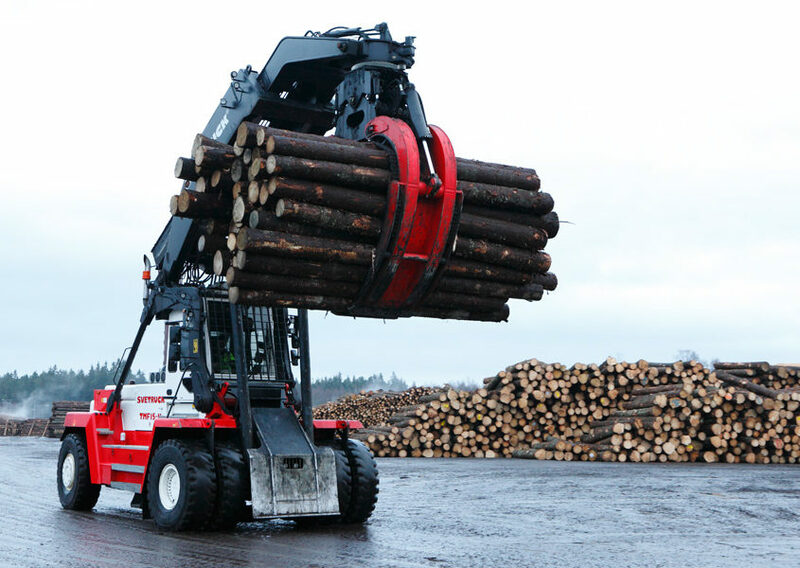 28 tonnes capacity in grapple with telescope in. 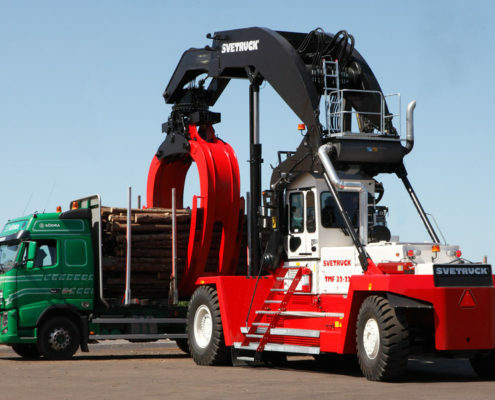 21 tonnes capacity in grapple telescope out. 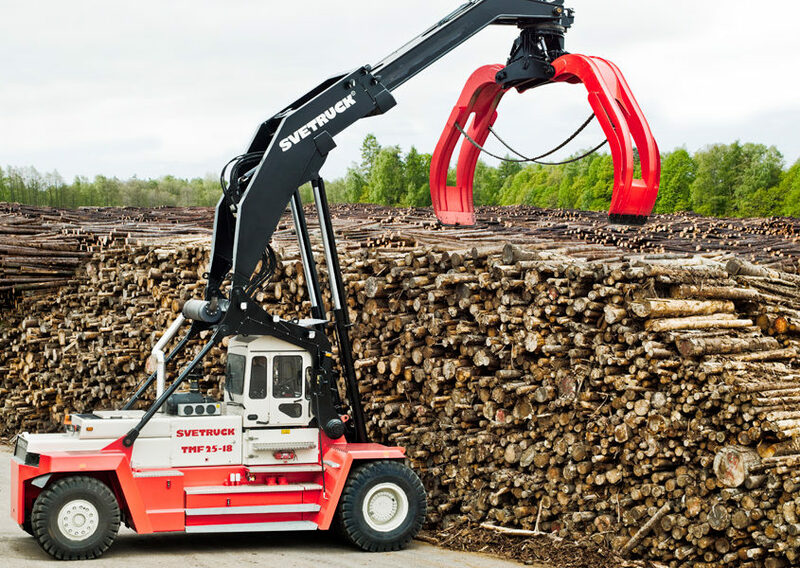 Grapple sizes available in sizes from 6.0 to 8.2 m². 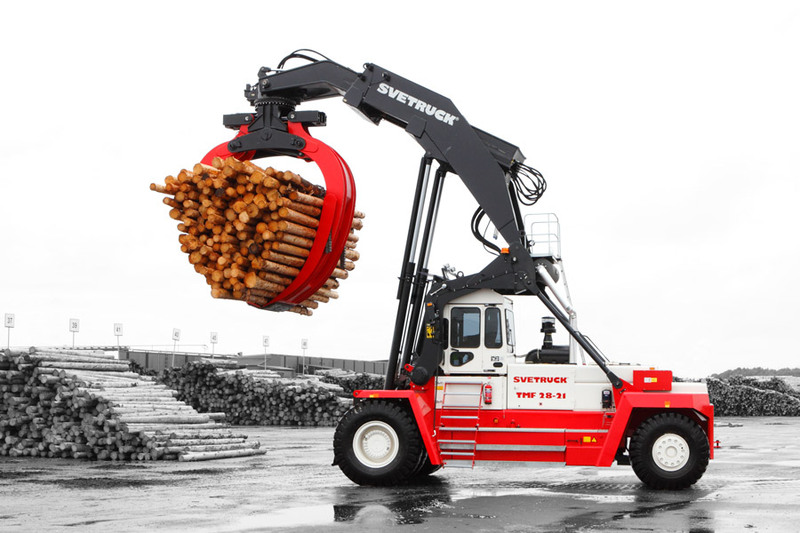 360° rotation and uncompromised precision during longitudinal turning. 25 tonnes capacity in grapple with telescope in. 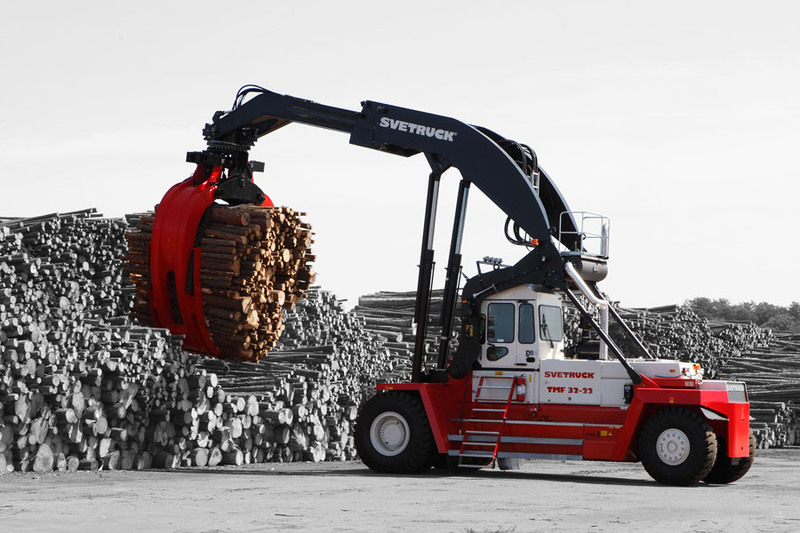 18 tonnes capacity in grapple telescope out. 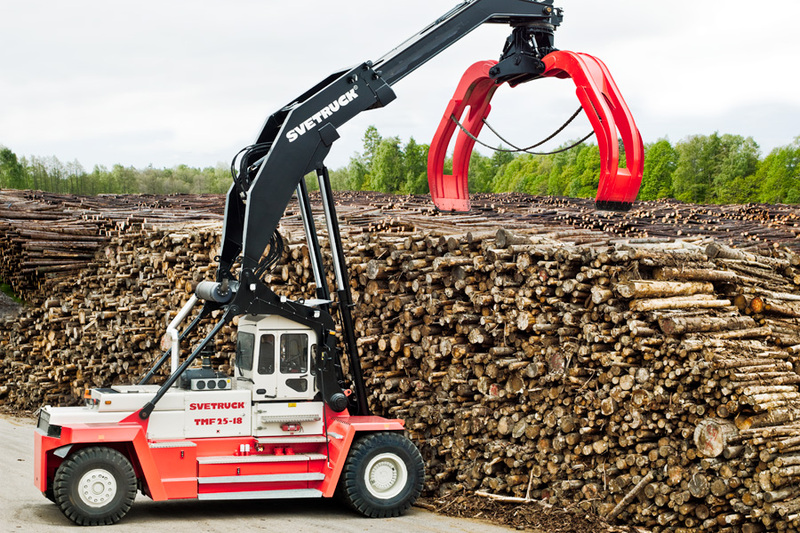 Grapple sizes available in sizes from 6.0 to 7.5 m². 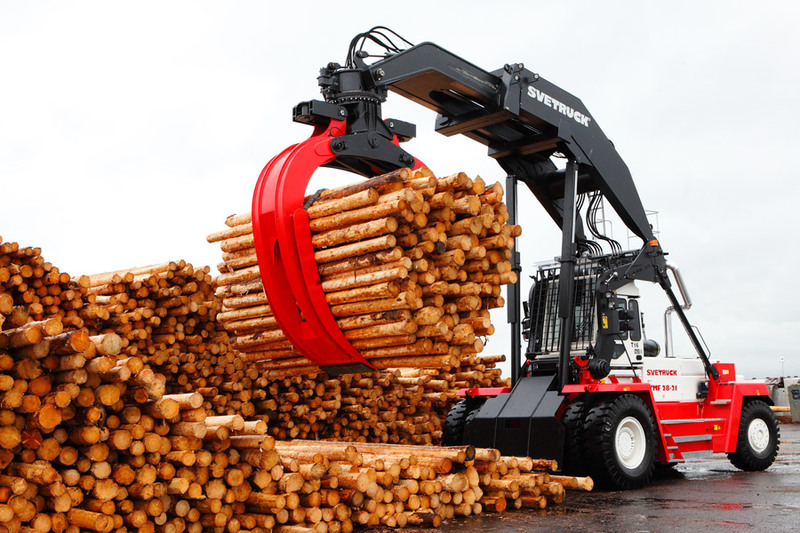 360° rotation and uncompromised precision during longitudinal turning. 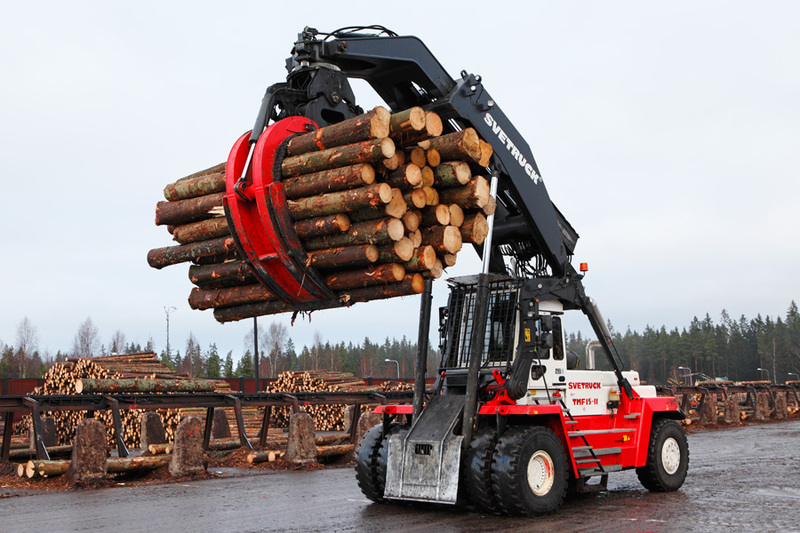 15 tonnes capacity in grapple with telescope in. 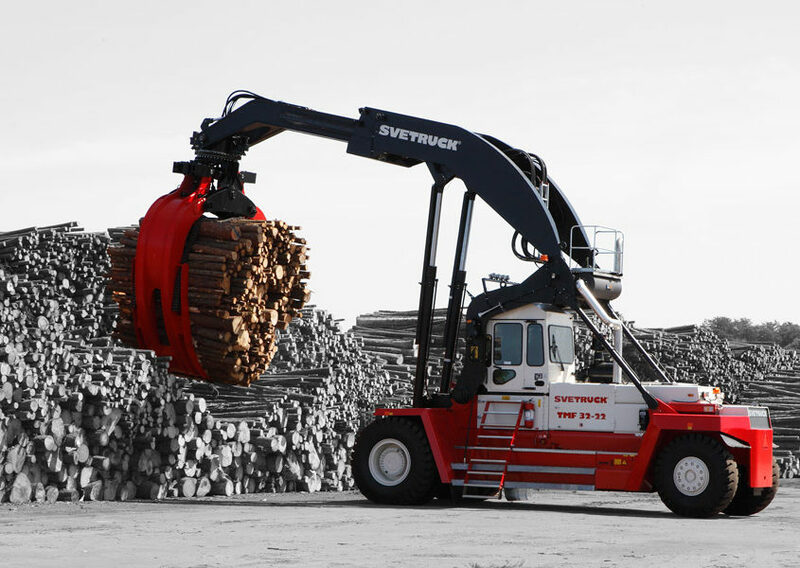 11 tonnes capacity in grapple telescope out. 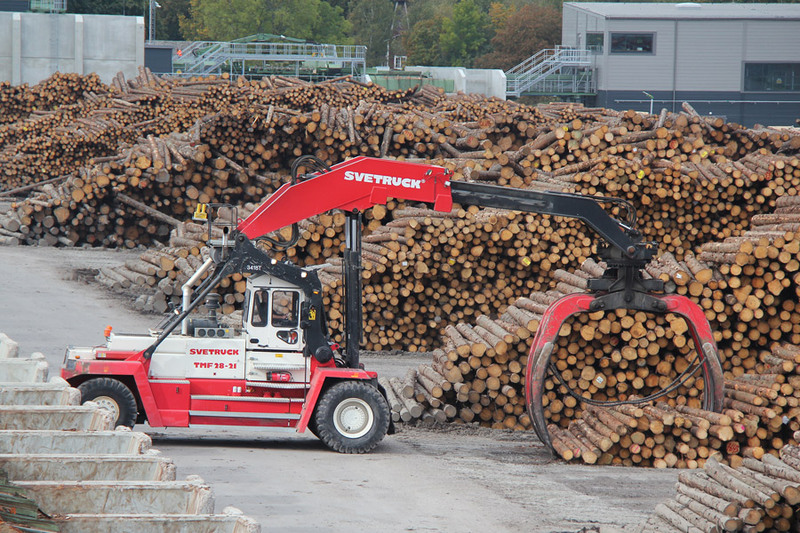 Grapple sizes available in sizes from 4.8 to 6.8 m². 360° rotation and uncompromised precision during longitudinal turning. 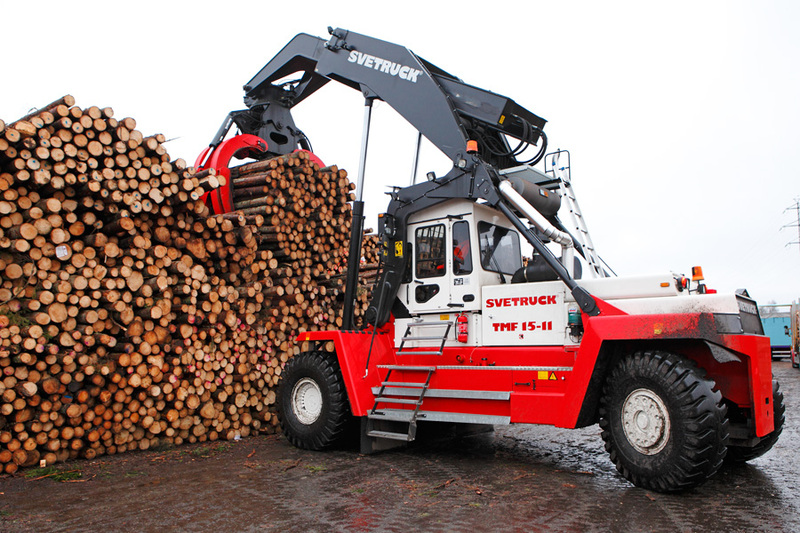 12 tonnes capacity in grapple with telescope in. 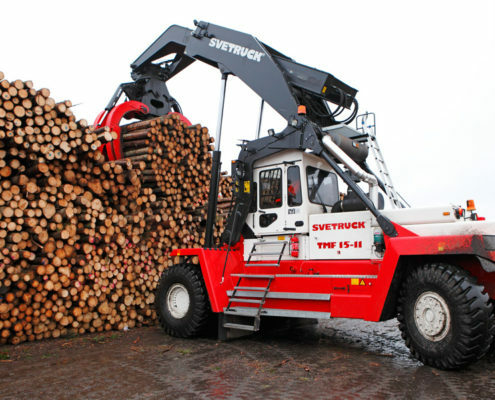 9 tonnes capacity in grapple telescope out. 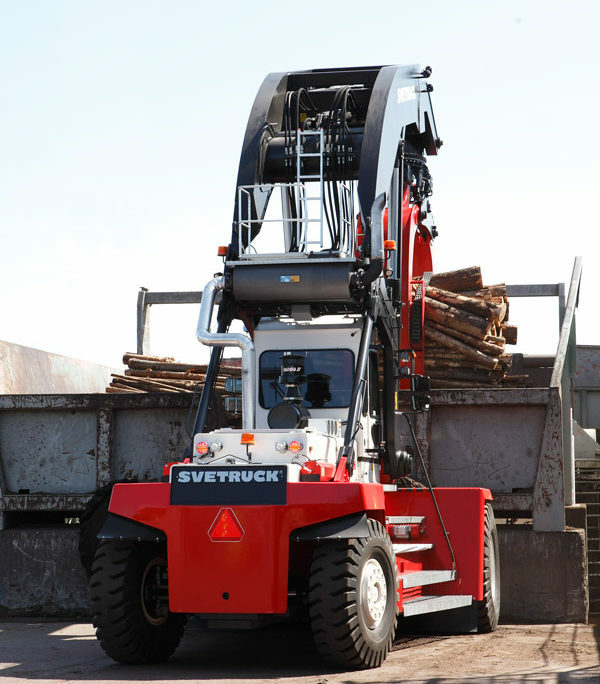 Grapple sizes available in sizes from 2.3 to 5.5 m². 360° rotation and uncompromised precision during longitudinal turning.